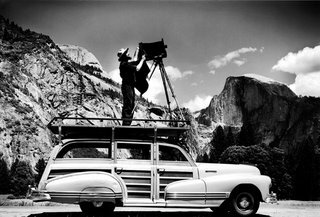 One of the first things I checked out on the internet Saturday morning was an audio slide show about photographs by Ansel Adams taken in Yosemite National Park. It was in the Travel section of NYT. 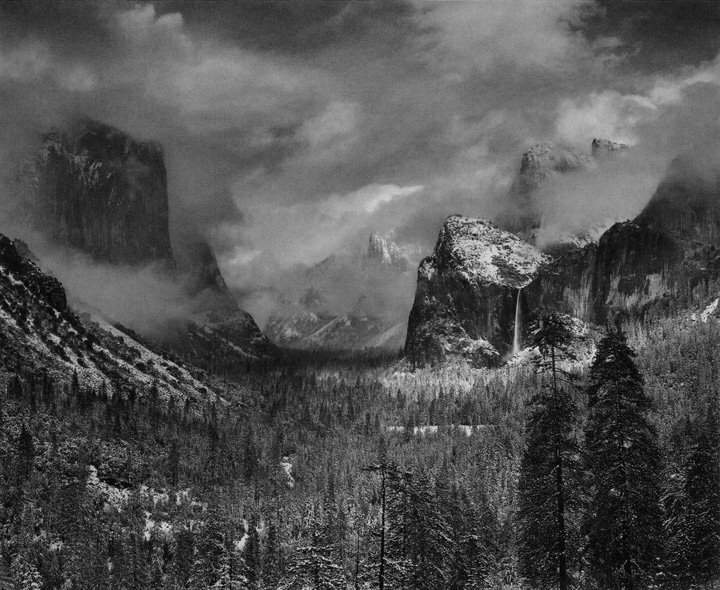 The headline for the story was pretty straightforward: "What Ansel Adams Saw Through His Lens." The commentary was done by Andrea Stillman, development director at the Morgan Library and Museum, who used to be an assistant for Adams in the 1970s. The full story and slideshow can be found here. There was one especially noteworthy anecdote by Stillman that I wanted to share. She explains that Adams was hired by the Kodak company to go out and make some color shots in the park. According to Stillman, he was paid $250 for every 8x10 Kodachrome he took. In particular, Kodak apparently was looking for shots of waterfalls and rainbows. When Adams found a suitable waterfall/rainbow scenario he wouldn't just expose the Kodachromes, he'd also shoot black and white. Stillman explains "As an artist he felt that he could not make a creative statement in color, because people would expect the color photograph to exactly mirror nature. Whereas when he was working in black and white he could create what he called 'a departure from nature.'" I liked that. Many photographers get exposed very early on in their careers to masters like Henri Cartier-Bresson or Robert Frank. For me, Ansel Adams was the first famous photographer I ever discovered. And this was right at the same time I was just learning the basics of photography, in my pre-photojournalism years. Indeed, it was the landscape of my hometown, the trees and creeks, the grain silos and abandonded railroad tracks, that I responded to, long before I ever had to photograph other people. I emailed a nice comment to the Times' interactive team that put the piece together. So then again yesterday morning I was looking at the NYT online when I saw the word "Weegee" in a headline that read "Through Weegee's Lens." A few moments later I discovered it was a feature on Jill Freedman, whose name I immediately remembered (she had been nice enough, a few years ago, to reply to an email I had sent her complimenting her book of Ireland photographs, and one picture in particular in it, that gripped me at the time). After going through that story, slideshow and video I was somewhat distracted by the headline with Weegee's name in it. I know, I realize I shouldn't take the headline so literally as to infer she's the second coming of Weegee (or that she used his glass). 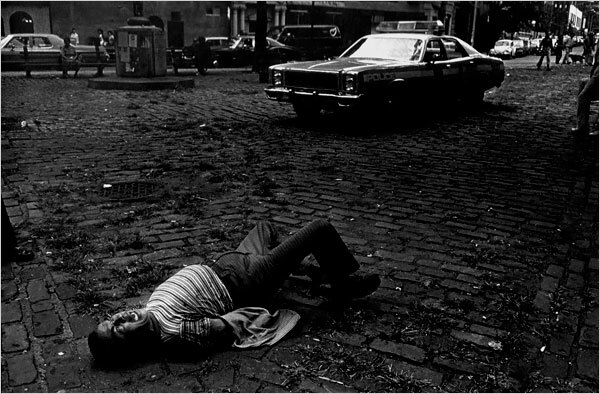 And I suppose a comparison of some of Freedman's pictures to Weegee's is apt. But looking at her work as a whole, Weegee is definitely not the first photographer I think of. Granted, the article also mentions the influences of André Kertész and Diane Arbus. But Freedman's New York pictures in particular are much different, much more "35mm," much more wide angle, much more subtle and nuanced than Weegee's 4x5 in-your-face flashbulb. Personally, I would align her work more beside that of Bruce Davidson, Leonard Freed, Richard Kalvar and a few others. In the article there's a mention of how, at the time, her style "fell out of fashion," which I found disheartening. Freedman says "As far as work, you have to be good at hustling. I've just never been good at that." That made me laugh. In the end, I was happy the Times had given her some exposure. I enjoyed learning that's she's back in New York (and healthy). 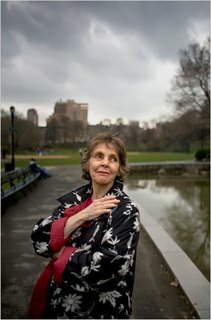 In the video she alludes to an upcoming book of her New York photographs from the 60s through the 80s. That should be excellent.